Bangladesh Navy has published a New Job Circular in April 2019. The Name of this Job Circular is Bangladesh Navy DEO 2020 A DEO Batch. Online Application is ongoing. The last date of this Online Application is 30 June 2019. Form Commission -1A will ask your Recent Photo, Certificate of All Exam and also Chairman Certificate. Educational Requirements, Physical Fitness Requirements, and all other data are available on the Official Job Circular. The Application can submit form joinnavy.navy.mil.bd. After Visiting The Website, Apply Online. Submit the Online Application Form. The Application Fee of TK 700 need to pay Online via Bangladeshi Credit Card, Debit Card, Master Card, Visa, Mobile Banking (bKash, Rocket, and Others), Nexus and others. Details info is available on the Circular. We have added Full Job Circular of PDF and Image Version for the Applicant. If you are eligible, Please visit the Mention Website of Bangladesh Navy and then click on the Apply Button. Then, provide your Personal Info, Educational Background, and other info. Finally, click on the submit button to submit the Job Application. After submitting this Job Application, Pay the Application Fee of BDT 700 (Expect Charge). Payment method is available on the above and also on the PDF Circular. So, click on the Apply Now and submit your Application. 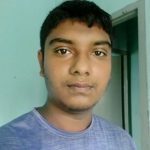 You will receive all other information like Bangladesh Navy DEO Physical Test, Written Exam Date, Admit Card Download, Exam Center with Location, Exam Result, and Viva Exam info. We will publish all of this information’s instantly after getting information. 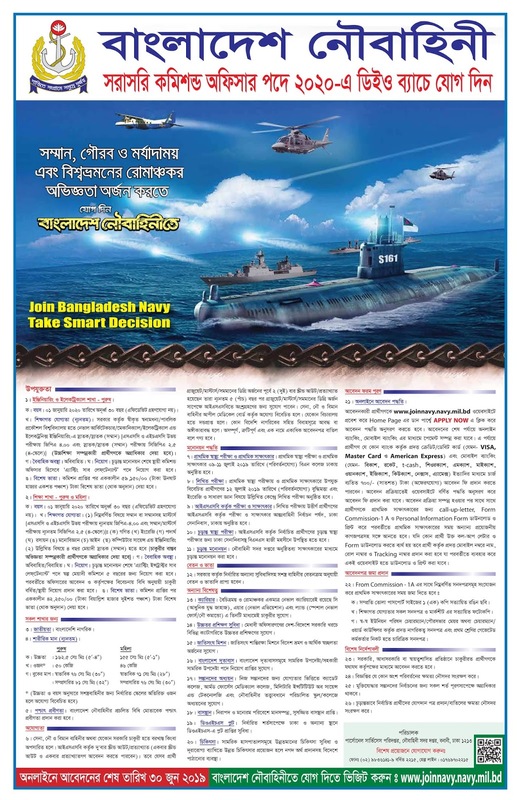 Do you have any question about Bangladesh Navy DEO 2020 A DEO Batch Job Circular April 2019? If yes, you can Contact the Bangladesh Navy. Contact information is available on the PDF Job Circular Image.